According to multiple reports over the past week, Patrick Vieira‘s time as manager of New York City FC is nearing its end. In a story that has rapidly evolved over the past two weeks, Vieira has gone from MLS manager to prospective Premier League, and now will be the newest Ligue 1 manager. Sky Sports reported that Arsenal had in fact reached out to the former Gunner following the departure of long-time manager Arsène Wenger. Though it’s believed the interest was feigned, with Arsenal eyeing Pep Guardiola’s current assistant at Manchester City, and longtime Gunner himself, Mikel Arteta. The possibility of managing Ligue 1 side OGC Nice first arose when local outlet Nice-Matin reported the possibility on May 15th. Nice, who had been enjoying a recent run of success under manager Lucien Favre was left to find a new manager after Favre opted to join Borussia Dortmund. Following Favre’s departure, news of Vieira’s possibility of replacing him has come quickly. Just two days later, Get French Football reported that Vieira was in advanced talks to takeover as manager of Nice. French newspaper L’Équipe has confirmed the reports today and added that Vieira has agreed, in principle, to a two-year deal with OGC Nice to replace Lucien Favre as manager. The details of the contract are being worked out by the two sides. The two sides have been working on the contract for the past two-weeks according to the report. City Football Group, the ownership group of both Manchester City FC and New York City FC are believed to be doing their best to keep the Frenchman in their organization with several reports citing promises of being a successor to Pep Guardiola at Manchester City emerging over the last 24-hours. Vieira himself has kept mum on a possible move, chalking up prior reports of a departure from NYCFC as fabrications of the media. NBCSoccer’s Matt Reed reported that the deal is completed and Vieira will not be on the sideline for NYCFC this weekend against Houston. If Vieira’s departure is indeed imminent, questions immediately arise regarding his replacement. His contract with New York City FC runs through December of this year and NYCFC would be loathe to give up their manager in mid-season. Nice-Matin added that CFG’s and NYCFC’s reluctance to give up their manager mid-season is the main issue holding back a deal from being completed. City Football Group Chairman Khaldoon al Mubarak told City TV that he hopes Vieira will stay with their organization in his yearly update. As of the moment, there have been no names linked with NYCFC as a possible replacement should Vieira leave. Naturally one would look to the bench to find a replacement. Vieira has three assistant managers who are capable of taking the reigns, should they choose to stay. Christian Lattanzio was with Vieira at the Man City EDS, and has worked alongside Fabio Capello during his England spell as well. Lattanzio would be a natural replacement for Patrick and is currently undefeated in MLS matches (2-0) where he has had to step in for a suspended Vieira. Javier Perez would likely also be a early front runner for the job. Perez has previously coached the USMNT U-18 squad and has worked closely with Claudio Reyna during his time as U.S. Youth Technical director, where the two developed the U.S. Soccer coaching curriculum. Perez also hols as UEFA PRO license during his time as a coach for Real Madrid’s development center. Rob Vartughian is the longest tenured coach at NYCFC, having started alongside Jason Kreis in 2014. 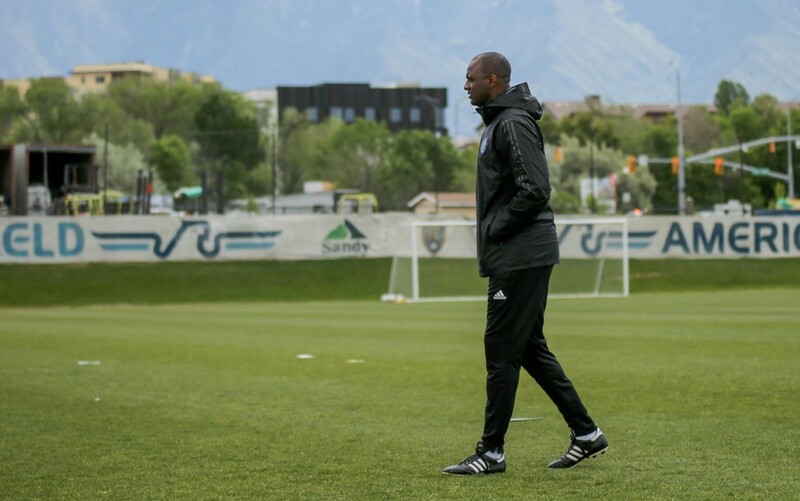 Vartughian is familiar with MLS, having spent 5 years as the assistant coach and then technical director with the Philadelphia Union. If NYCFC want to pursue a big name European manager, there are several managers available that fit NYCFC’s current style. Former Barcelona manager Luis Enrique and Former Borussia Dortmund manager Peter Bosz are natural fits to the system. Mikel Arteta is already within CFG and is familiar with the tactics the organization wants to see in its teams, having helped Pep Guardiola in his record breaking season with Manchester City. Perhaps Patrick Vieira was hinting at his possible replacement being Carlo Ancelloti in his most recent Twitter post. As of now, fans of NYCFC will have to wait and see what NYCFC does. His tenure has been a success so far and the players speak highly of the man. As of now it’s down to Vieira and the two teams to decide.